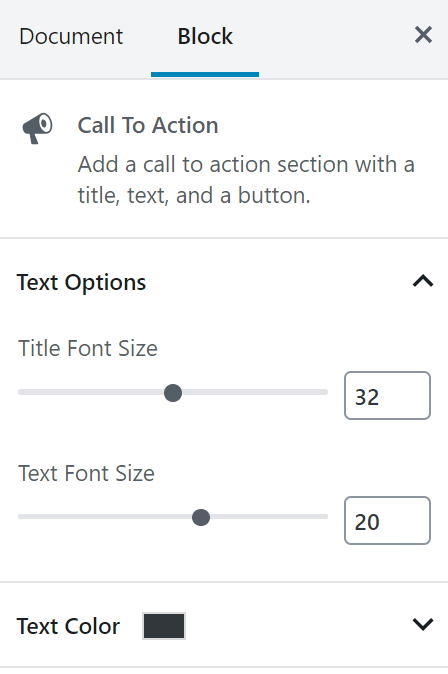 This is a Gutenberg block which inserts a call to action section with custom title, text, and button anywhere on the WordPress website. Custom text size & color. Custom button size, color, and shape. 1. Install and activate the Call to Action Block plugin in the latest WordPress. 2. 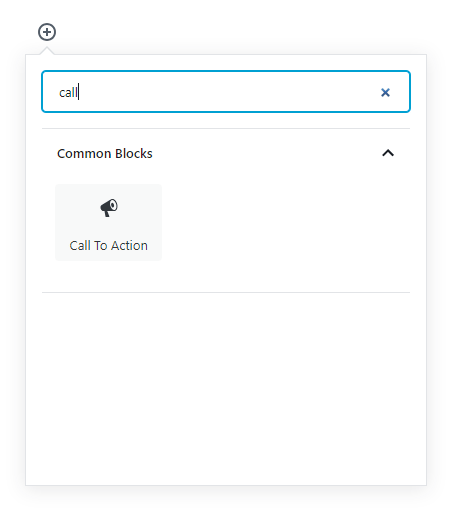 Insert a new Call To Action block into the Gutenberg editor. 4. Customize the title, background, description text and action button under the Block tab.